Hey, this is my first and probably last font here. I wasn't sure where to post this but I've found that there isn't a lot of MSX skins online for some reason, and there wasn't any section on this forum I've seen for it. 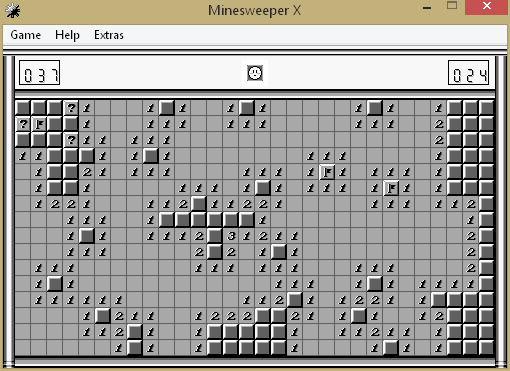 So since I'm not a massive fan of Minesweeper's default graphics, I went and put together a skin for Minesweeper X using the Game Boy version's tiles. As you can see it's not totally similar to the GB version but it's as close as I can make it. I basically made it for myself but I figured some of you might like it. Have fun.